-Put the coconut oil and Thai red curry paste into the pan then gently fry the curry for one minutes. Then add chicken breasts into the pan and mix the chicken breasts and curry paste well by keep stirring for approx 3 minutes. -Add the fish sauce, oyster sauce and sugar. Fold the chicken and seasoning together. – Pour the coconut milk into the pan and bring it to boil. – Add the Baby sweetcorn, red pepper and courgette and fold all the ingredients together. Then simmer for approx 12-15 minute. -Put the basil leafs into the pan, gently fold all the components together. 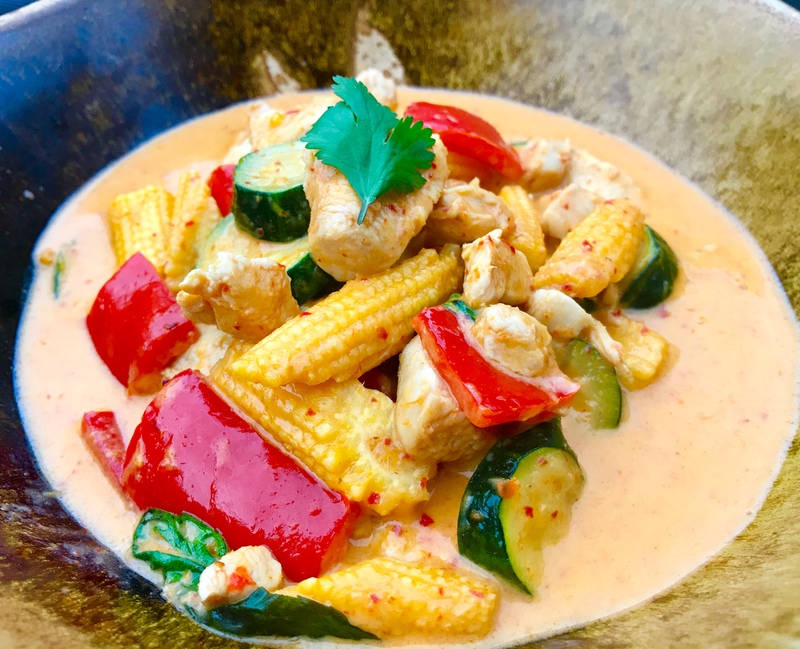 -Transfer the lovely curry into the serving bowl and enjoy this easy Chicken Thai Red Curry with Thai jasmine rice. 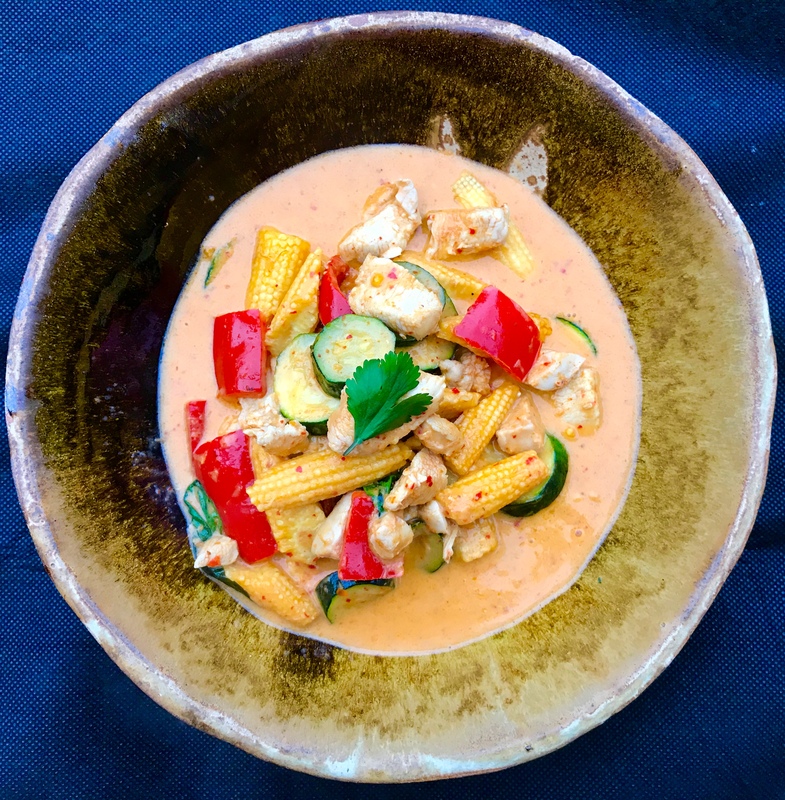 -Make sure you only use an authentic Thai red curry paste brand and Thai coconut milk. Click this link to see why : Thai Kitchen Staples. -Add half chopped red chilli, if you like Chicken Thai Red Curry quite spicy.